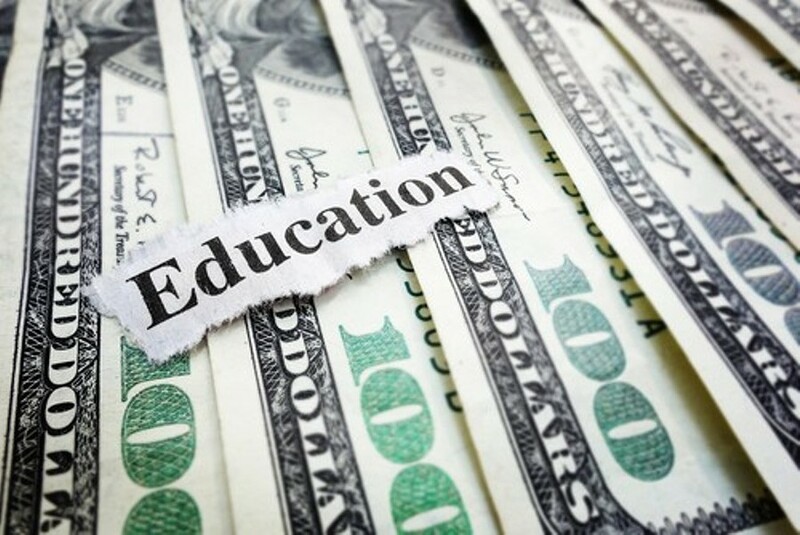 Once again, Arizona got a bad rap in the media for the way it funds education. But this time it's different. This time we don't deserve it. Edbuild, a nonprofit organization which focuses on the problems of funding inequality and segregation in the nation's public schools, recently released a report spotlighting the differences in the amount of money that goes to predominantly white districts and predominantly nonwhite districts. It concluded that, nationwide, states spend about $2,000 more per student in white school districts than they do in nonwhite districts. So far, so good. Edbuild is right to point out that racial and ethnic inequality extends to education just as it does to every other aspect of our society. But then, things go wrong. The report names Arizona as the most inequitable state in the country. It says there is an $11,000 per student gap between districts with low-income, predominantly white students and low-income, predominantly nonwhite students. A report like that is catnip for journalists. It was covered in the New York Times, the Washington Post, CNN, NPR and elsewhere. In every story, Arizona was shamed for having the worst funding inequity in the nation. Stories in the Arizona media included attempts at explaining the numbers, but they weren't very convincing. The study's results for Arizona are wrong. Wildly wrong. Edbuild began with good data, but it made bad decisions about the way it crunched the numbers, which led to Arizona getting bad press for one of the few areas of education funding where, ironically, we do things right. As everyone knows, Arizona's spending per student is among the lowest in the country. That's why we have the largest class sizes in the nation and our teacher salaries are rock bottom. We have plenty to be ashamed of in the way we fund our schools. But one of the things Arizona does reasonably well is the way we spread money across school districts. The system isn't perfect. Districts, especially high-rent districts, have ways of gaming the system to get more money for their students. But compared to other states, we do a fairly good job of evening out the money each district receives. A formula for equalizing funding across districts compensates for the differences in property values and the money that comes from property taxes, which is the main driver of funding inequality. Arizona's funding system may have its flaws, but what happened in Oregon doesn't happen here. That's why Arizona usually fares well in national studies of funding distribution. We're in the top 20 in one major study. Even Edbuild lists Arizona as a revenue neutral state in a report it completed a few years ago. So where did the latest Edbuild study go wrong? The answer is in the study's methodology. To explain, I have to get pretty wonky. Bear with me. The answer begins with the fact that Arizona has lots of small districts scattered around the state, and those districts need extra money to teach their students. It costs more to educate students in a district with less than 150 students than in districts with thousands of students. Hiring teachers for every grade, busing the kids to school, maintaining the school buildings, providing lunch: those items cost much more when the student population is small. In Arizona, very small districts can cost two or three times more per student than larger districts, sometimes even more than that. I spoke with Rebecca Sibilia, Edbuild's CEO, and she explained how the study figured out the amount Arizona spends per student. The authors decided to deal with all districts in the study as equal units regardless of how many students each has. That's where things went sideways. To see how Edbuild's methodology works, let's take two districts in the study where white students make up 75 percent or more of the student population, which is how the study defined predominantly white districts. One district has a total of 47 students. According to the report, it spends $19,701 per student. Another district has 2,429 students. It spends $6,401 per student. To find the combined per-student spending for the two districts, the study simply averages $19,701 and $6,401, ignoring the fact that one district has 50 times more students than the other. Calculated that way, the two districts spend $13,051 per student. But that's ridiculous. You need to put the size of the student populations into the equation. When you do, when you figure how much would be spent per student if you took all the money the state puts into both districts and spread it out over all the students, the result is $6,653. In reality, those 47 students in the small district add $252 per student to the larger district's funding number. Edbuild's $13,051 figure adds $7,100. And that's how the report ends up with a wildly exaggerated per-student figure for districts with 75 percent or more white students. Only 16 Arizona districts fit into that category. Of those, 14 have somewhere between one student and 600 students. Most of their costs range from $9,000 to $36,000 per student. The two larger districts have about 2,400 students each, and they spend $6,500 to $7,000 per student. When the study averaged the figures district by district, it came up with a whopping $18,738 per student. But when you take the number of students in each district into account, the result is a far more reasonable $8,370 per student. The study also looked at 49 districts where nonwhite students make up 75 percent or more of the student population. It came up with an average of $7,775 per student, a figure that is reasonably close to what you would get by taking the number of students into account, since most of the nonwhite districts have thousands of students, and the spending doesn't vary as much from district to district. Using the student-weighted average of $8,370 for white districts, the $11,000 gap reported by the study shrinks to $595. I agree with Edbuild's conclusion that we need to correct the many socioeconomic disparities built into our public schools, but unfortunately, its faulty methodology throws all its figures into doubt. And when it comes to Arizona, we earn plenty of bad press on our own. We don't need an extra helping of grief for something we actually do pretty well.